Courtesy of William R Wertz, Sager Real Estate. 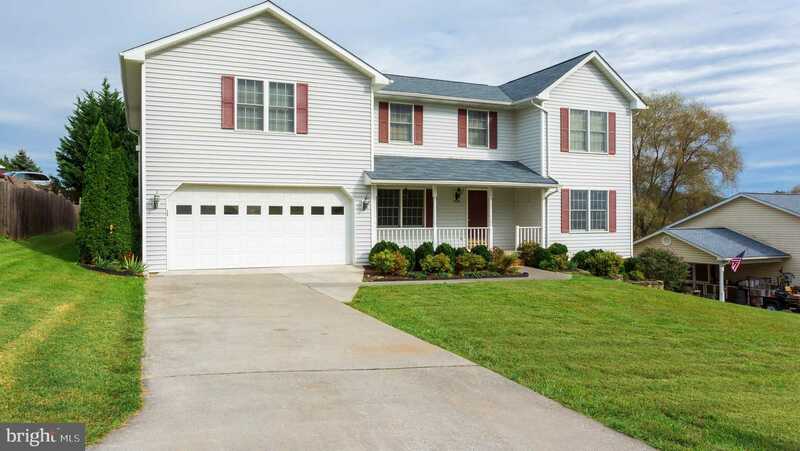 Beautiful Colonial in Riverview Subdivision – 3 very large bedrooms, 4 1/2 baths. Basement is fully finished. New roof, new upstairs HVAC, Hardwood floors recently refinished, new granite counter tops. Large deck with hot tub and a stamped concrete patio. Please, send me more information on this property: MLS# VAWR134082 – $365,000 – 1178 Kesler Road, Front Royal, VA 22630. I would like to schedule a private showing for this property: MLS# VAWR134082 – $365,000 – 1178 Kesler Road, Front Royal, VA 22630.